The latest LEGO® promotional offer has begun and you can now get a free Party Banana Minifigure. 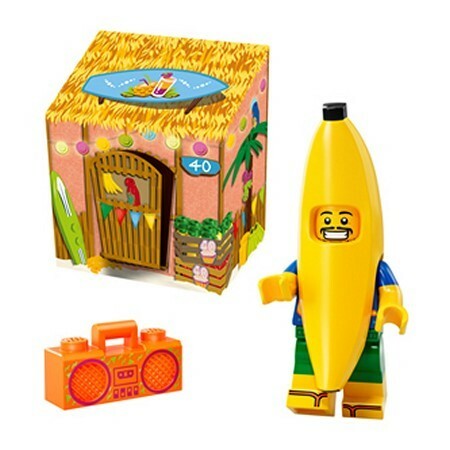 This funky freebie includes a new version of the Banana Guy character, found in the sixteenth series of LEGO Minifigures. This version is ready to party and features a different design to the minifigure beneath the banana suit and a boom box to blast out some party tunes. You can get your free LEGO Party Banana minifigure when you spend £30 or more in LEGO Brand Retail Stores and online via shop.LEGO.com. Simply add £30 or more of LEGO goodies to your basket and the Party Banana minifigure will automatically be ready to party.